Olympique Lyonnais coach Hubert Fournier has confirmed his desire to keep Nabil Fekir at the Stade de Gerland, despite interest from Arsenal and Manchester City. The young forward has been one of the revelations of the Ligue 1 season so far. He has scored 12 goals and contributed nine assists, firing Lyon into the midst of an unexpected title challenge. Les Gones currently sit top of the table with five games to play, although they will be concerned that Paris Saint-Germain, in second place, are also on 65 points with a game in hand. 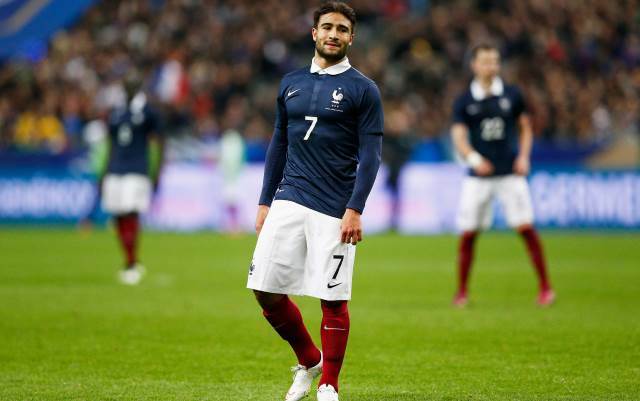 Fekir’s superb form has also led to him making his France debut, having chosen to represent Les Bleus ahead of Algeria. His form has made Premier League giants Arsenal and Manchester City sit up and take notice, while a representative of Inter Milan also watched the youngster in international action with France in order to gauge his qualities [via TMW]. However, Lyon coach Fournier has expressed his desire to keep Fekir and his other star men at the club. “I hope that Fekir, [Alexandre] Lacazette and the others stay,” he began, speaking to OLTV, as reported by Le 10 Sport, “it’s also a choice of our president to have a more competitive team. “There is also the European Championships in 2016,” he continued, “they need to be here.